...and left a bunch of good stuff. Received an anticipated royalty check without having to nudge the publisher even a single time, which is both rare and rightly appreciated. 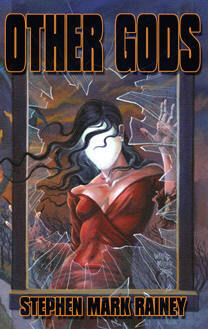 My contributor copy of Shroud issue #1 showed up, which looks damn good; I'll look forward to delving into the contents. And several copies of Blue Devil Island, which Five Star has released as a large-print paperback, also arrived. So it was a good mail day. Thanks, nice mail delivery lady! I keep having these dreams that I'm editing Deathrealm again, and things keep going horribly wrong. I've just sent an issue to press, and the printer informs me his rates have tripled. The cover art comes late and it's all wrong, so I have to replace it with a lolcat. The layouts get misdirected to China and they print the issue in Chinese. Since I work in the publishing business by day and have all these wonderful resources at my disposal that, if they were my own, could make Deathrealm such a very smashing thing, I guess it's only natural that some deep, dark part of my brain likes to fantasize about resurrecting the old beast. Not to mention the fact that for the last couple of years, I've been getting subtle and not-so-subtle hints from the world at large that it would be soooo nice if Deathrealm were to come back. Sometimes I almost believe it. Then I have these dreams, and I realize that the situations in these nightmares are child's play. Back in its day, getting the real thing done was a big, frustrating, fatiguing, and expensive job, and nowadays, it would be all that and more. So in spite of how gratifying it would be to be at Deathrealm's helm again, I'm going to let the old bugger remain at rest. Of course, if someone were to lob a hundred grand at me, we might could talk, but somehow I'm not really getting this vibe. Go figure. Ready for pre-order, my upcoming collection of very scowy tales from Dark Regions. 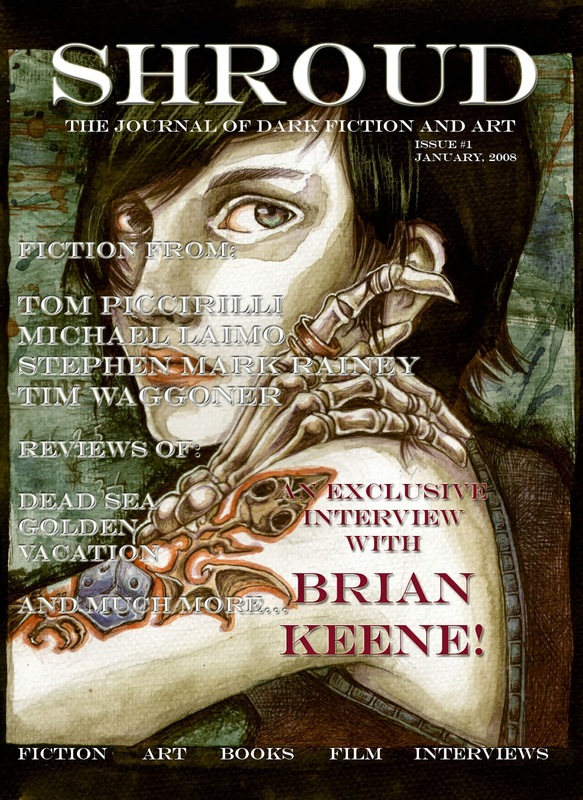 "Spanning a career of over 20 years, the 16 tales in Stephen Mark Rainey's Other Gods depict an alluring yet macabre world, rendered by one of the horror genre's most vivid imaginations. With settings ranging from the remote backwoods of Virginia to the urban wilderness of Chicago, the veneer of Rainey's world appears familiar, even comforting; yet, beneath its surface, ancient, malignant powers lurk, ready to spring forth and destroy any who discover them—whether intentionally or inadvertently. Laced with humor and recounted by a captivating voice, the tales in Other Gods wait for you with open arms—but beware, for they are also laden with darkness. 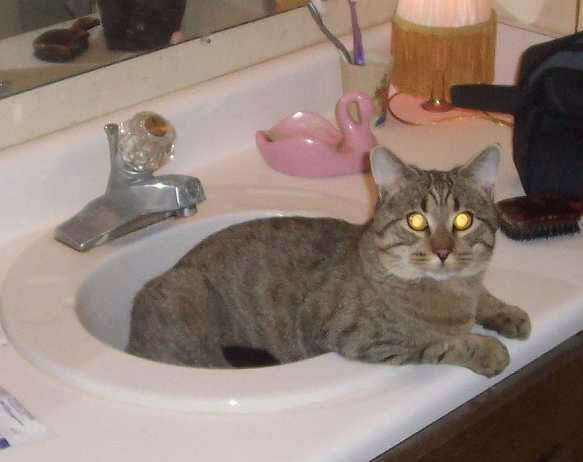 And in that darkness, danger waits." 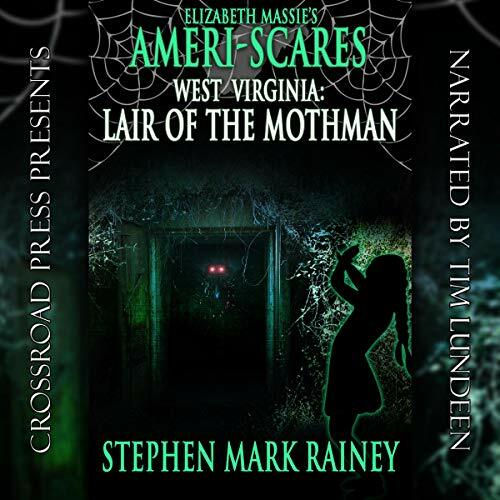 "Stephen Mark Rainey is a master at grounding horror and terror in a time and place. His stories are effective because he understands character, as well as the motivations of both his people and his monsters. And, in a field often tinged with cynicism, Rainey shows us that monsters can also be fun. One of our best contemporary storytellers." P.S. There aren't really any cows in this book. Sorry. A few years back, as some of you may know, I put together a Web site dedicated to the music of the James Bond movies. (Yes, I am indeed still a big ol' 007 freak.) Over the years, I've collected the soundtrack albums to all the films, so on the Web site, I have set up a page for each album/movie, which features a synopsis of the film, a review of the score, cast and credit listings, and song lyrics. Since I created the site—in 2003, I believe—it's mostly sat idle, though it regularly gets dozens to hundreds of daily hits. In fact, the last time I think I even visited the place was last year, when I added a review page for Casino Royale. This week, since I've been ill and mostly homebound, I decided to give the old thing a bit of a face-lift. Nothing too extravagant, just something to bring it a little more in line with the character of my personal Web site. If you're at all a Bond fan, you might enjoy checking it out. Drop in at The James Bond 007 Soundtrack Revue. 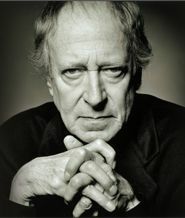 The photo above is of John Barry, 007-composer extraordinaire. One of the schools in Martinsville is having a fund-raising auction, so I offered to donate a copy of The Last Trumpet in case there are bidders with sturdy hearts. As it turns out, it's not just the book on the block; I go along with it. A reading, a little dinner party, and a whole lotta horror. Sounds like fun, so I hope some brave soul will put up a bid. I've been sick with a nasty flu bug all week long. I took a flu shot in the fall, but I hear the strain that's going around tends to laugh at such feeble precautions. It's been a bad one—high fever, aches, lots of congestion. Yesterday, I couldn't even get out of bed without losing my balance. Much stronger today, and the congestion is slowly clearing up, but I'm still a long way from a hundred percent. Man, I don't remember getting so sick with these bugs in my younger years. Sometimes this aging business really doesn't sit well with me. Peg's been doing poorly this week too, but hopefully the weekend will help turn things around. Allison's coming home for a visit, so that'll either do our spirits good or push us over the brink of insanity. A most satisfying weekend, though it included some slight physical injury. Peg and I went up to my old hometown in Virginia and stayed at my friend Lynn Pritchett's guesthouse in uptown Martinsville. Beautiful old house, and we pretty much had the run of the place. Peg got the best therapeutic massage of her life, and I went out geocaching. Had some luck, as the photo to the right shows: found a cache hidden off a neat little trail through town, known as the Rail Trail, which runs along old, disused rail beds and will eventually become part of a long trail between Martinsville up to Philpott Lake (where we have done some excellent camping). 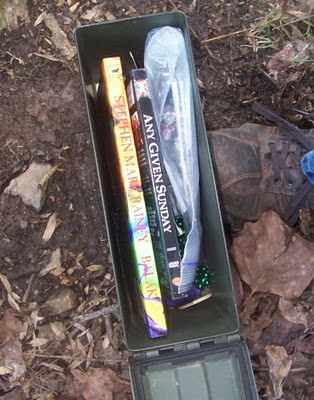 I placed a copy of my novel, Balak, for some lucky geocacher, though I suspect that if he or she reads it, they may end up never wanting to find another cache. Peg and I had an excellent dinner (seafood linguini for me) at Rania's restaurant and retired fairly late in a huge and very comfortable bed in the house's most opulent guest room. I'm pretty certain the house is haunted, but after the late dinner and accompanying martinis, I was too laid back to go investigate the rappings in the spooky old attic. Back home now, and tomorrow's another friggin' work day, but I'm thinking another medicinal martini really might be in order. If you were ever a fan of Space: 1999 back in those glorious '70s, you no doubt remember Barry Morse, who played the stern but kindly Prof. Victor Bergman. Or going back further, in The Fugitive television series, he won his fame playing detective Philip Gerard, always hot on the trail of David Janssen's Richard Kimble. Morse actually appeared in hundreds of television, movie, and stage productions, including The Twilight Zone (both the original and revival shows), The Changeling, The Winds of War, War and Remembrance, The FBI, The Invaders, and plenty more. In fact, one source estimates he played over 3,000 roles in his long and steady career since 1942. 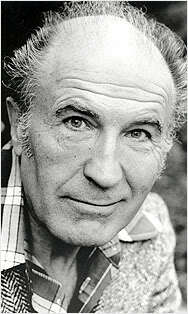 Barry Morse passed away on February 2, at the age 89. He had lived in his own home up until three days before he died. For many years, I felt that, apart from my brother, I was about the only soul in the world who even knew his name. I'm so glad to have found in more recent years that he was actually known and highly regarded by a fair legion of fans and admirers. Way back in the 70s (again), my grandparents had a friend who looked remarkably like Mr. Morse. In fact, if you put the two in the same room, you might be hard pressed to tell which was the real Prof. Bergman. Whenever we'd see this gentleman, my brother and I would holler, "Barrrryyyy!" and the old fellow would always look a bit flumoxed. Leave it to us young 'uns. Barry's moved on to the brighter lights, but he is missed. Godspeed, good sir. Beth Massie is known for writing a wide variety of types of fiction — from cutting-edge horror to historical drama to young adult adventure tales. In general, Ms. Massie's horror fiction tends to be very dark and frequently centers around characters with severe warpage of the mind. It's almost a surprise to find that Homeplace is about as traditional as traditional gets — at least when you're talking about haunted houses, ghostly goings-on, long-dead witches, and small-town settings filled with small-town characters. Her life in something of a meaningless rut, artist Charlene Myers retreats to her ancestral home, known as Homeplace, deep in the Blue Ridge Mountains of Virginia, to restore herself. She has vague memories of unpleasantness there as a child, but once she settles in, that old perception takes on a new and disturbing vividness — particularly when she finds that a number of the locals believe that Homeplace was once home to a rather nasty witch and that Charlene must surely be following in those old witchy footsteps. A young lawyer named Andrew Marshall, himself a relatively recent transplant to the small town, befriends her and offers her emotional support as she experiences one inexplicable event after another — at least until Charlene herself begins to behave in such bizarre fashion that even he must doubt her sanity. Finally, however, the supernatural power in the old witch house sweeps up the both of them, and neither knows the means to either combat or escape it. I've always been a little put off by characters who talk to themselves. It's usually a cheap and too-obvious means for the author to explain the character's motivation or propel one scene to another. Charlene talks to herself quite a bit, and at first, it hit that sensitive annoyance nerve I have right behind my left ear; fortunately, it doesn't take long to realize that it's part of her psychological makeup, a symptom of her emotional and physical isolation. Charlene is a somewhat damaged character, but not so far gone that you either pity her or write her off as hopeless. She has occasional moments of sullenness that make one want to smack her around a bit, but most often, she redeems herself by facing the issues confronting her with reasonable pragmatism. Andrew is a closet novelist, and not a very good one. There are numerous excerpts of his writing, which in abstract ways reflect his thoughts on the goings-on around him. The snippets are a little overdone at times, and I think Ms. Massie included them just to convince us readers that, yes, he really is trying to write, rather than expect us to take her word for it. I might have striven to find a happy medium, but it's really a small matter. As a character, he is both believable and sympathetic (despite his being a lawyer), and his perceptions of Charlene help to define her character as much as his own. In classic fashion, Charlene goes up against the evil that inhabits Homeplace, and the showdown is part High Noon, part It, and the stakes are high for all involved. After a relatively slow pace since page 1, the supernatural big gundown comes on fast and hard, almost jarringly so. From there, events again play out a bit slower as we move toward the end. On the whole, it all works, showing that Ms. Massie is well-versed in plot-pacing and generating atmosphere. Given the events of the story as a whole, the resolution gives us exactly what we might expect. No silly contrivances, no boogies suddenly jumping out of shadows to clue us in that it's not really over. In that regard, it's a successful means of wrapping up the drama. I enjoyed Homeplace a lot, in large part because the setting Ms. Massie builds is so close to places I've known and cared about in Virginia. (She and I have trodden a lot of the same ground over many years.) The characters are people we might meet on the street, some of whom we'd like and some we wouldn't. In the time it took to read the novel, I enjoyed myself quite a bit. Definitely time well spent. 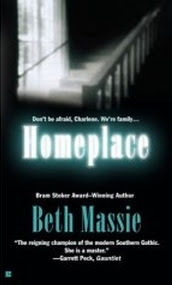 Click here to view Beth Massie's Homeplace book trailer.